POLITICIANS at all levels should take note of the crushing result delivered to the Coalition Government on Saturday. Kerryn Phelps, a GP, social activist and all-round smart cookie looks likely to appear triumphant ahead of the Liberals' Dave Sharma in Wentworth. The government had predicted there would be a swing against them in Malcolm Turnbull's once safe Liberal seat. Despite the lowering of expectations for itself in the days leading into the by-election, the government could not have expected a comprehensive early triumph for Dr Phelps. 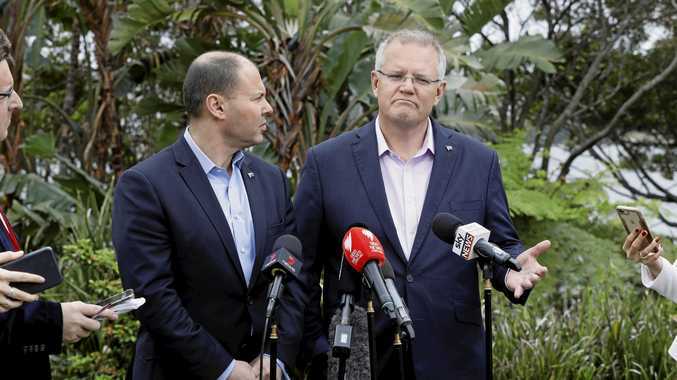 She is still in a favoured position and, even if Mr Sharma stages a historic comeback, Scott Morrison must receive the message of Wentworth voters. If Queensland's Liberal MPs were worried about their chances under Mr Turnbull they should be quivering at the thought of the party's chances now he has been deposed. The socially progressive seat of Wentworth is different to the conservative backwaters of Queensland. Dr Phelps has proven a grass-roots campaign that encapsulates the anger in the electorate can be enough to overcome goliath. Tony Abbott and Peter Dutton should be concerned. News Anzac Day services in Proserpine.